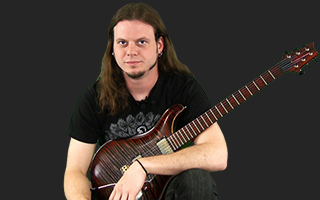 Emil explains how the use the pentatonic scale without sounding "pentatonic" or bluesy. In this lesson you will learn how to use the b9th, 9th, and b5 scale degrees in conjunction with the five notes from the pentatonic scale. Man the first time i saw you on the net i said to myself; this guy is amazing...you're the main reason why i subscribed to jamplay and i'm not dissapointed at all. Great lesson really made me take a look at my pentatonics again and see a whole different way to use that tool for different sounds.